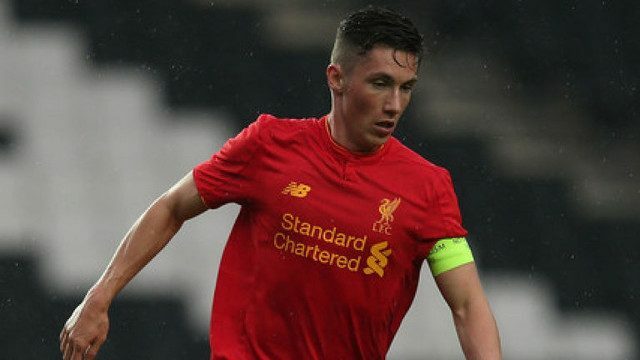 He’s a full Welsh international and has scored a hatful of goals for Liverpool’s Under-23s this term, as captain, too, but is clearly way down Jurgen Klopp’s pecking order..
All the winger can do though is keep impressing for our second string, and he delivered again last night – scoring twice in a 3-1 victory over Bolton which sees the kids in the semi-finals of the Lancashire Senior Cup. Tom Brewitt grabbed the other for Liverpool, with coach Mike Garrity likely happy with a cool performance which saw us dominate possession and chance count. Hopefully Wilson will be given a chance for the first-team during the 2017 summer tour, much like Ovie Ejaria and Woodburn were eight months back.